This is described as the French wine bible. It provides a thorough and current guide to French wine. Usually only one wine per producer is reviewed, but occasionally a second wine is referred to within the review. Incredibly the guide is never “updated”. It is rewritten each year from current tastings of the last vintage bottled. The 2012 Guide has just been released. 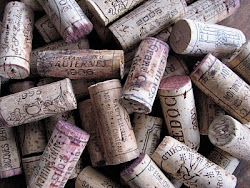 For the 2011 Guide 36,000 wines were tasted and 10,000 of those were included in the Guide. The “jury” – a team of wine professionals from around the world, taste each wine blind and describe it in terms of colour, aroma and taste and then scored from 0-5. Wines scoring 0 or 1 are not included in the Guide, a 2 leads to inclusion, but a score of 3 is needed to be give a star, 4 for 2 stars and 5 to be given 3 stars. The ultimate is “un coup de cœur , a heart, of which there are 471 in the current edition. 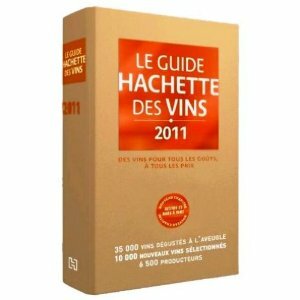 The Guide Hachette provides ample information on each of the wines reviewed: producer, vintage, region, vineyard area, number of bottles produced, use of barrels or vats, price and value for money, when to drink or keep past vintages and which years were exceptional. Information in the 2011 entry for DiscoverVin’s supplier Domaine du Crampilh is very comprehensive. 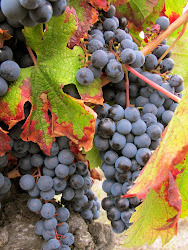 The review for the 2007 Vielles Vignes tells the reader that there are 3 hectares of vines. 8,000 bottles and the wine is made in oak barrels. Domaine de Crampilh’s entry is found in the Madiran section of the South-West chapter. Visitors are welcome for tastings and wine can be purchased at the winery. The translation of the description of the wine itself is evocative. This Madiran of pure Tannat stored for in oak barrels for ten months, is adorned with a cherry color, a fruit that can also be smelt, along with smoky and spicy scents. The mouth, balanced, supported by fine tannins, offering flesh, volume and flexibility. Qualities that can be assessed with a meal of duck with olives. To be drunk over the next five years. The contact details and opportunities for cellar door visits for each producer are included at the end of each entry. 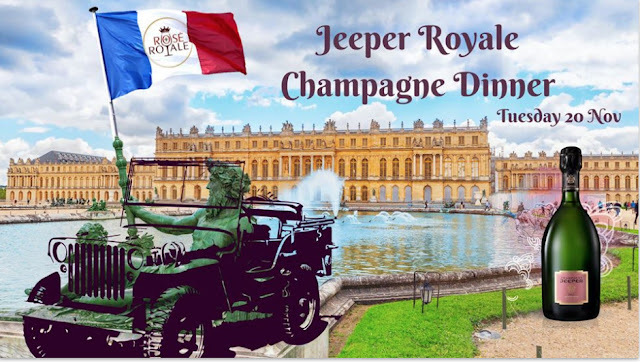 There is plenty of information is provided for anyone interested in wine tourism such as the presence of a gîte or chamber d’hôte and their price range. New to the 2011 Guide is a chapter with reviews of wine bars and restaurants by region. Entries are classified by region, but with four different indexes (appellation, commune, producer, wine name) information is easy to locate. 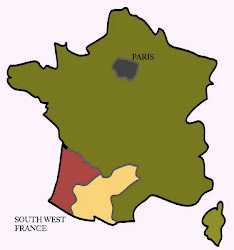 The guide provides an excellent notes on each region with the first chapter providing an overview of what’s been happening, region-by-region, in the French wine industry in the past year. The first chapters explain how to buy and keep wine, the wine making process and how to taste and serve wine. It really is a wine lovers bible!